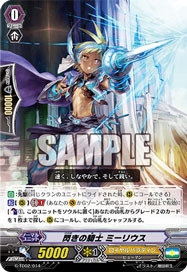 [A] [(V)/(R)]: When this attacks a Vanguard, if you have a ::Nova Grappler:: Vanguard, this gains +2000 Power for the battle. There's no planet for him to return to. He's a wanderer in the galaxy.